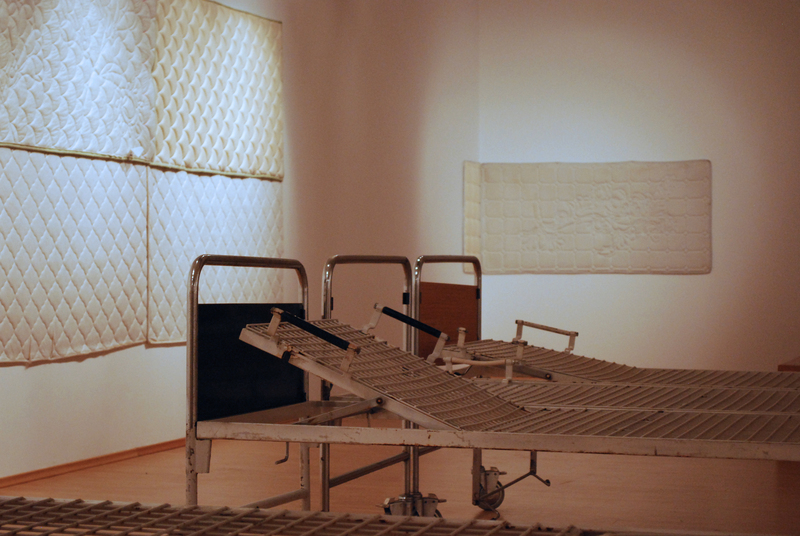 Boris Beja is an artist who systematically develops the idea of the ready-made. Ready-made enables a specific kind of view directed at the process of arrangement and at a comprehensive view aimed at various meanings. It is usually interpreted as a song of the artists’s boundless freedom, where he places within an artistic context anything he wishes, and thus elevates it, giving it aesthetic value. This type of artwork which, substantially or qualitatively, emphasizes the differences between art and non-art. It is the fruit of entirely uninhibited decision-making, be it by the artist or by certain social or artistic establishments. 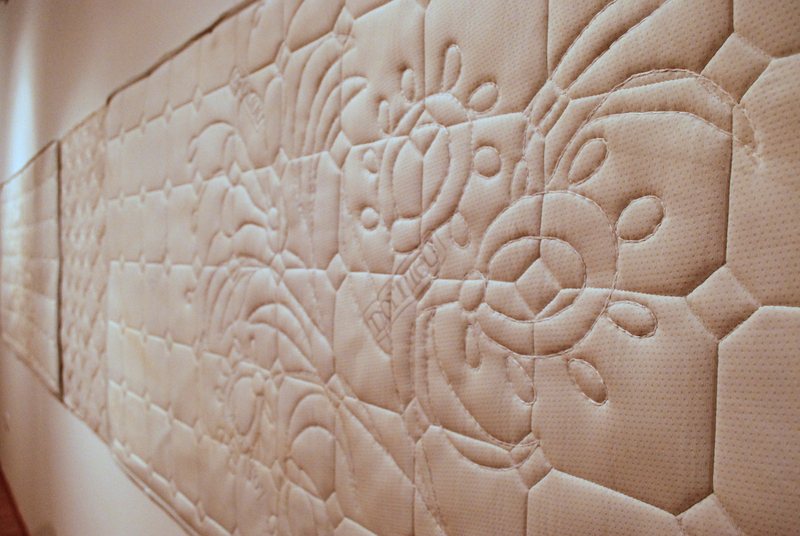 In this project, Boris Beja presents a spatial installation entitled Siliconato Bianco – Anallergico, on inscription lifted verbatim form a label on the mattress that he uses for the installation. 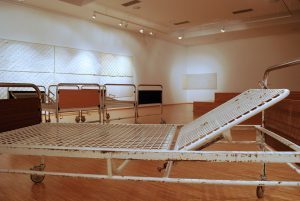 The artefacts of the installation are hospital beds from the neurological clinic. 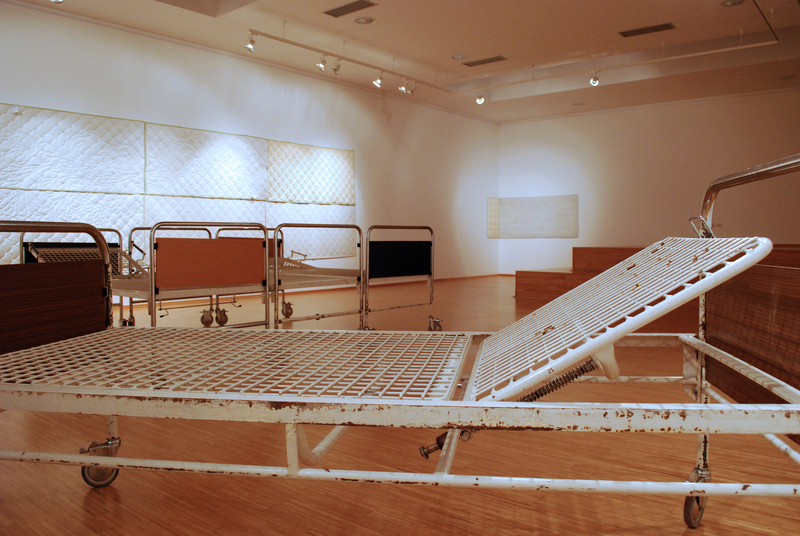 Placed side by side in the exhibition space they intersect with the viewer’s path. The installation is an image of a communal sleeping space where anyone can symbolically sleep, evoking our inexorable passing, our death. 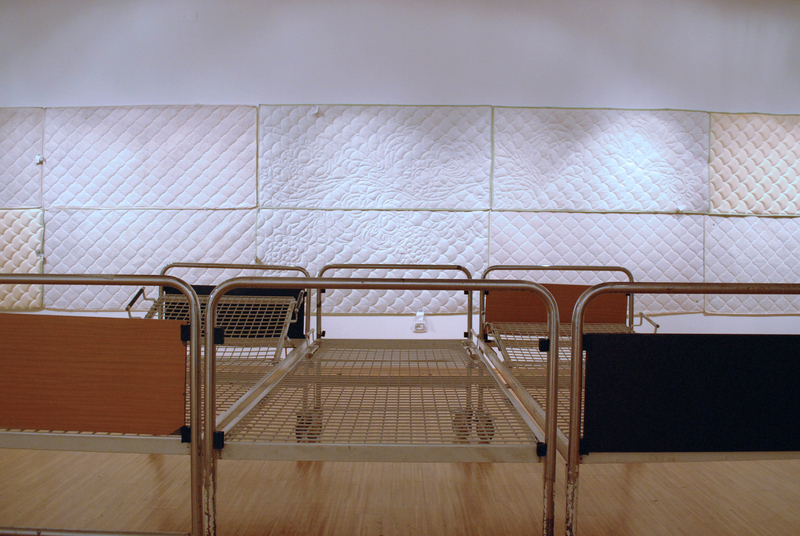 But while the beds are elements of concrete reality, the wall, covered by pillow covers, recalls the Wailing Wall. 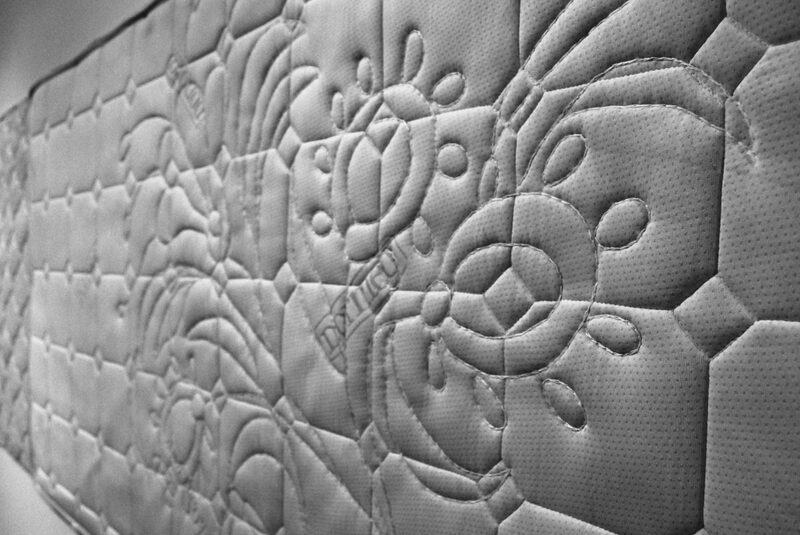 Boris Beja holds that in that space caught in between sleep (the beds) and the wall (mourning), that is where life happens, represented here by various stylized ethnological patterns embroidered on the covers. 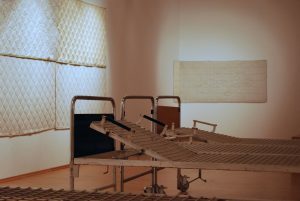 The viewers supplement and give meaning to the instalation. 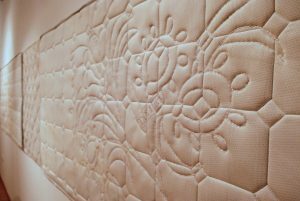 They represent the figural part of the piece by filling the gaps in the thematic and compositional layers of the installation.